Create your own works of art and experiment with artisan printing techniques with these Linoleum printing blocks. Essdee Linoleum is formulated to be especially soft for easy carving making it ideal for all users from students to masters. It is manufactured from natural materials such as linseed oil and wood flour and is even biodegradable. The light grey surface can be directly drawn upon with a pencil or a design can be transferred using tracing paper. 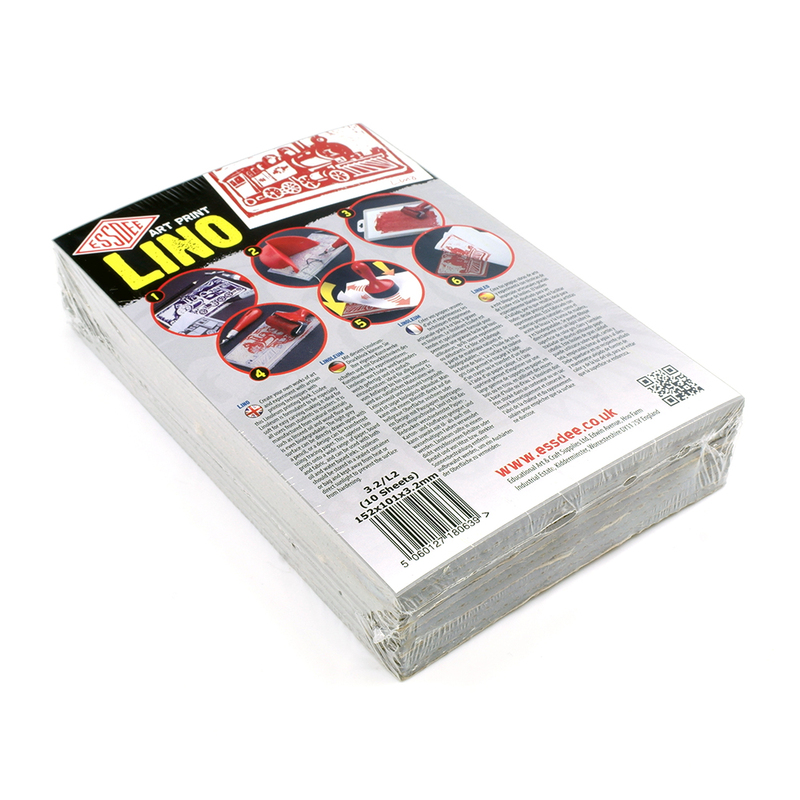 This superior Lino prints onto a wide range of paper, board and fabric, and can be used with both oil and water based inks. Linoleum should be stored in a sealed container or bag and kept away from heat or direct sunlight to prevent the surface from hardening. This packs contains 10 Linoleum Blocks in a 152mm x 101mm size. Each block is approximately 3.2mm deep.